Hyperlogs has recently garnered two prestigious awards from the FinancesOnline business software directory: Great User Experience and Rising Star awards. These two prestigious industry titles recognize the many Hyperlogs features as intuitive and reliable to effectively monitor one’s projects and teams. Hyperlogs was recognized by FinancesOnline as an ideal solution for businesses looking to graduate from spreadsheets without initially straining team performance due to the platform’s ease of use. This an important recognition to our team, considering that FinancesOnline is a leading platform used by businesses to research about time tracking software. 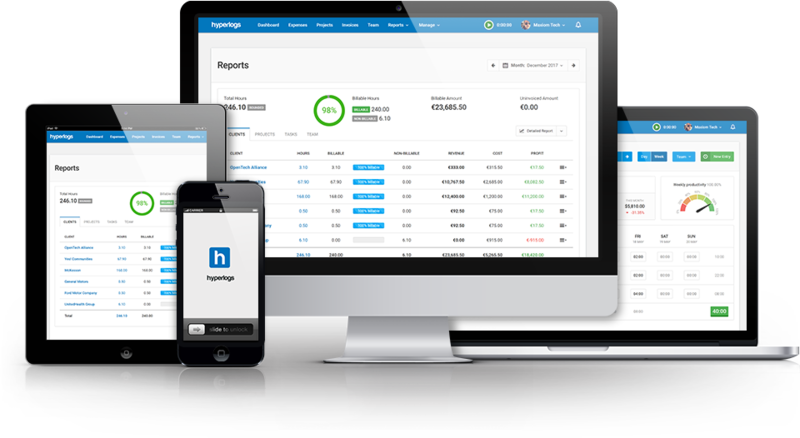 Being an always-online solution, Hyperlogs not only eliminates all instances of duplicate data entry and file versions, but it also makes employee monitoring effortless for the admin-side, stated FinancesOnline. All of these paved the way for Hyperlogs to receive FinancesOnline’s Great User Experience award, granted to the best time tracking solutions that are well-designed and intuitive for monitoring and managing one’s workforce. According to FinancesOnline’s review team, the time tracking capabilities of Hyperlogs “empowers your workers to become more productive and efficient with their time” and ensure that users “get to deliver high-quality projects in a timely fashion.” So if you’re still discussing with your team why use time tracking software for your business, you should definitely give Hyperlogs a try. Moreover, Hyperlogs users are not encumbered with sending invoices as the software allows for one-click sending of invoices and features automated reminders of unbilled time, remarked the FinancesOnline review team. The review platform also distinguished Hyperlogs as a Rising Star for 2018, granted to the top B2B applications that have positive reception with clients and are seen as a reliable solution to the various problems users face in their daily work. This indicates that Hyperlogs is the ideal time tracking software for businesses looking to boost their team productivity and increase profitability. Additionally, Hyperlogs provides users with “powerful insights, reports, and analytics” to accordingly adjust their team’s strategies. We are honored to have received these two awards from FinancesOnline, and most especially, we thank all our users for supporting Hyperlogs. With these awards on hand, our team is more than motivated to go the extra mile in providing all users with the best time tracking software system on the market.